nanowhite™ hydrating whitening mask now come with a free of 50g naowhite™ awakening snow wash promotion. 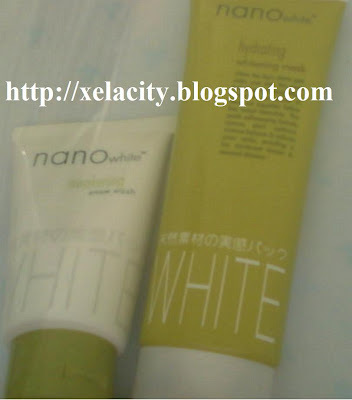 Nanowhite™ hydrating whitening mask can draw out impurities before they breed blemishes. The gentle self-renewing formula restores skin’s optimum moisture balance& reduces minor marks, revealing a fair, translucent texture & renewed vibrancy. Nanowhite™ awakening snow wash effectively moisturizes as it cleanses without stripping its natural protective film. It contains Omega White-C & Nano Peptide, to whiten skin and help reduce lines. Happy aroma Endorphne carries the important responsibility to give skin an instant happy glow leaving skin feeling fairer, refreshed & renewed. All skin type.